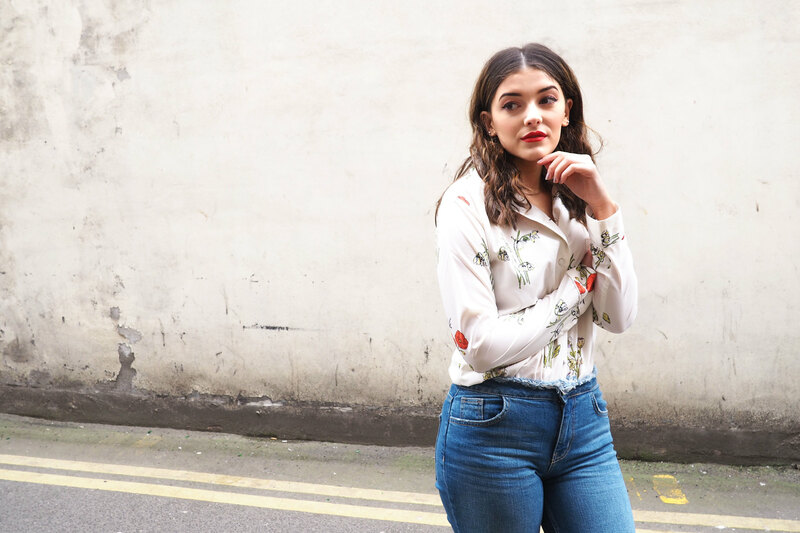 Let's start off with the shirt, which is actually part of a pyjama set from Topshop, but as we all know too well by now, pyjama shirts for daywear is all the rage, so is of course perfectly acceptable. 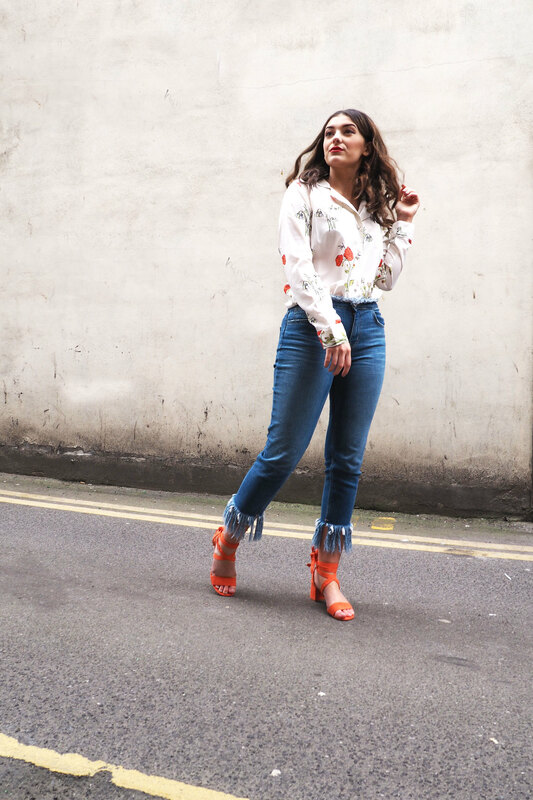 Paired with some distressed, frayed denim, the feminine cut of the top is counteracted with these badass jeans. 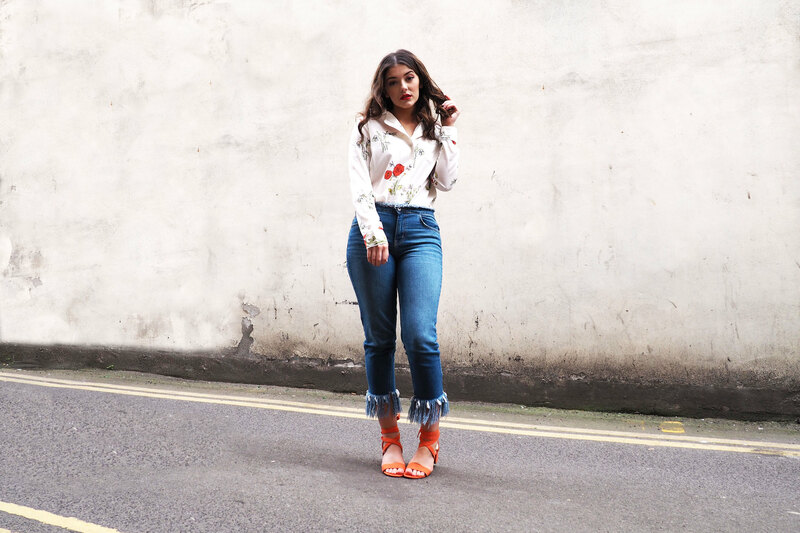 To finish off such a simple look, I took these lace-up sandals, taking the colour from the floral detailing in the top for a match made in Summery heaven. 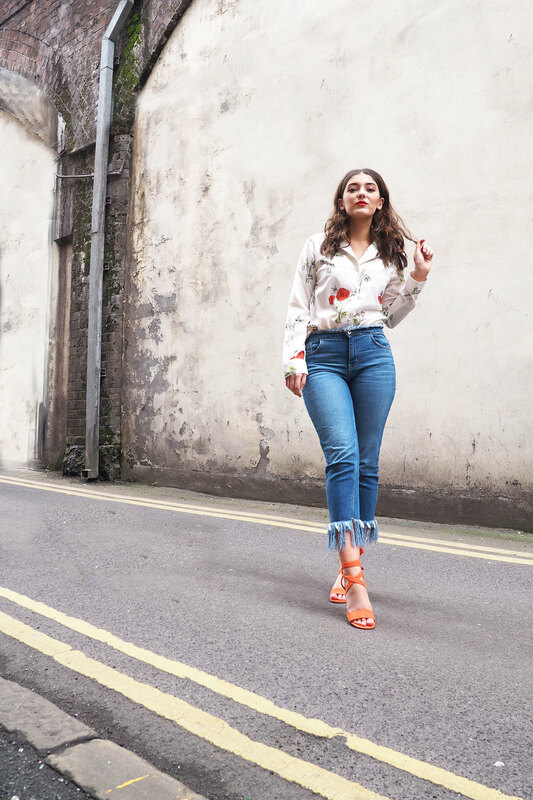 With all 3 components of this outfit being super on-trend pieces at the moment, the effortless simplicity is replaced with some serious sass. 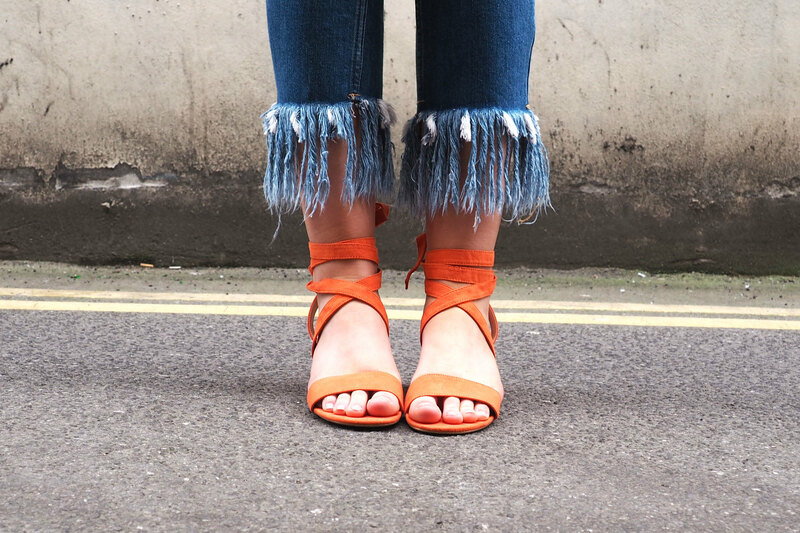 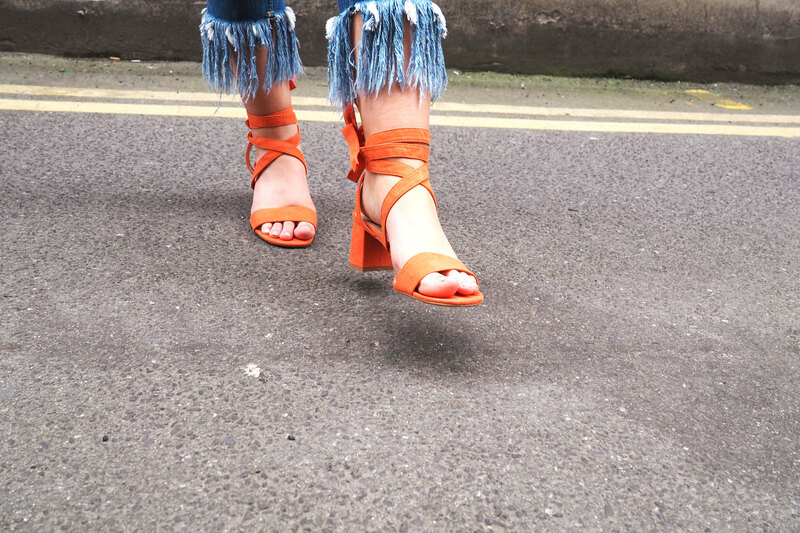 Also, this frayed hem and lace-up sandal combo is giving me all the feels right now. 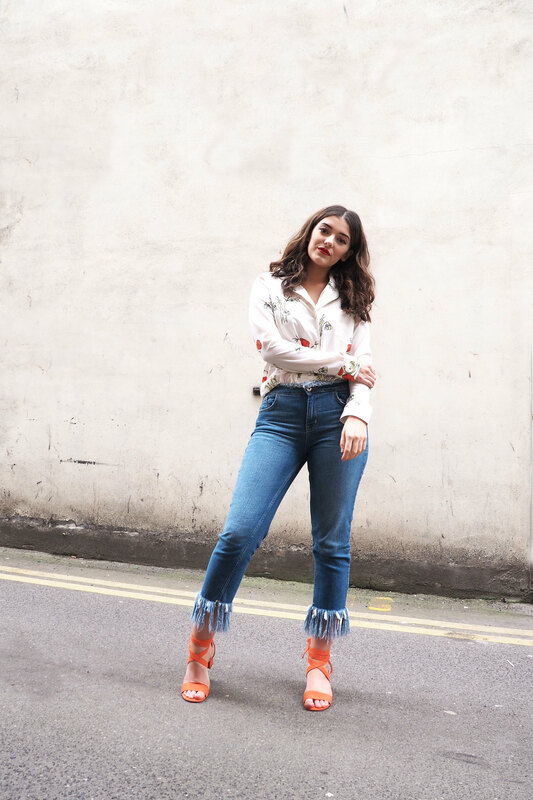 Love this look ! 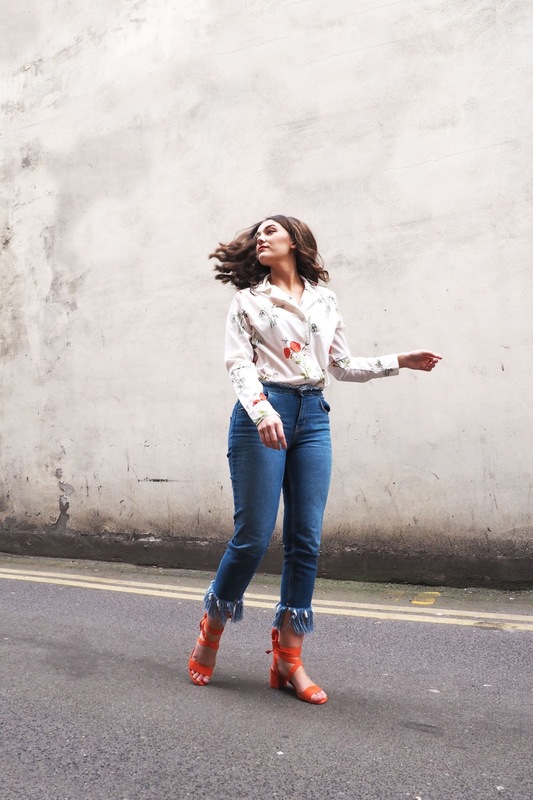 Especially those shoes with those jeans !